Be Engaged. Social Media is an integral part of any successful marketing campaign. 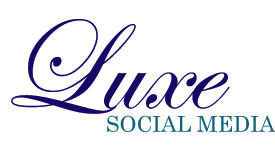 Luxe Social Media uses social media tools to create high impact social media strategies that make a statement for our luxury clients, dramatically increasing their visibility. Please contact Tiffany Dowd for more information on social media marketing services at LuxeTiffany@comcast.net .